Don't let the cover fool you because the book itself is a gem. 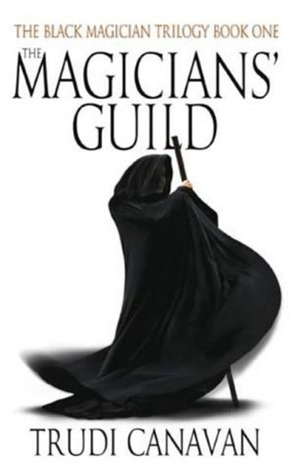 High fantasy lovers you probably don't want to miss The Magicians' Guild. And for those who are not really a fan of high fantasy, just a word of warning, be patient. Reading this book, I felt like I was transported to a different world. 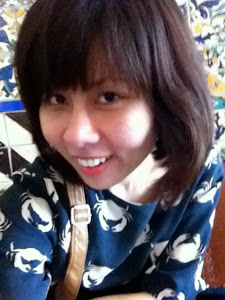 It was like I woke up and found myself in this fascinating world. Everything is so new and different but so interesting at the same time. I couldn't help but kept reading so I could learn more about the world and the characters. I liked The Magicians' Guild a lot but I didn't love it. I had a little problem with Sonea (the MC). She has no trust toward the magicians so I thought she'd treat all magicians the same. But no I was wrong. The one she needs to trust, she doesn't and goes on to trust the wrong one.To me, it just sounded wrong for some reason. Sonea is portrayed as smart and can read people since she is from the lower class and she needs that "reading skill" to survive. Then just why she suddenly becomes so naive. And to make it worse, Sonea learns her mistake because the evil person reveals his plan. I was not amused by this at all. Other than that, I did enjoy the book. It has no romance involved yet and I was glad because sometimes some books just don't need romance to make it interesting. Anyway, I'm going to stop here so I can go and read the second book. Fantastic review!!! Agreed with the whole not needing romance to keep things interesting. I feel like that's what most books revolve around so it's always nice to see books that don't! Anyways, would you like to follow each other on GFC?! Let me know and follow me on my blog, I will follow you right back on both GFC and Bloglovin!